We create mobile compatible websites as well as involve ourselves into mobile application software for various platforms like iPhone, iPad, BlackBerry, Android and Windows. With our team of intelligent and technologically sound programmers we will develop customized applications as per requirements. Jicho helps to provide developers and architects who have deep domain knowledge and experience in building highly creative mobile apps that are most wanted in today’s market. With advanced methodologies and technical tools, our experts design mobile applications such that it fits best in our client’s requirements. Jicho offers an extensive consultative development process with each of our clients. Our aim is to build tangible mobile apps that form part of a business solution. Our objective is to come up with the application and service strategies that will enhance business efficiency and ensure impeccable user experience for any mobile product. Our experts design with a focus on delivering exceptional user interface. Our unique designs will create a remarkable improvement in your business strategies. How will Mobile Application Benefit my Business? A business is all about reciprocation and it is must to nail down the best way to encourage more customers. If you want to increase the interaction of your customers with the business to promote sales, you should provide a level of value to the customers so that they don’t go anywhere else. You can create an app with loyalty program to make more customers interact with your business and products. Mobile apps provide a faster and easier alternative to web browsing. The user needs to launch a web browser and enter the URL and wait for the site to load for accessing the business website. On the contrary, mobile apps are quick and take only a few seconds to launch. As most of the information is stored in the mobile application itself, it is possible to use it offline. As there is no waiting time, customers will be attracted towards your mobile app. Additionally, there are chances of being converted into potential leads. Mobile apps reduce the cost compared to instant messages and traditional advertising. The communications are secured and directed instantly to the messaging customers. Moreover, the mobile apps reduce the staff work. A majority of customers tend to use mobile apps as they allow them to connect with your business easily. Businesses are using apps to improve the processes and increase the level of accessibility their customers have. No doubt, mobile apps are the most valuable tools for today’s competitive business world. You can create mobile apps with great offers and deals to lure many prospective customers to your business. If you want to promote your business and reap the benefits quickly, you should have a mobile app. Customer support is another important factor that hooks up potential clients with the business. Responding to customer queries and resolving issues will become much easier, if you have a mobile app to do it. You can sure win the approval of customers by having a mobile app that offers instructions and help customers resolve issues on their own. In today’s competitive world, mobile apps are the best tools to enhance visibility of your brand. The awareness and name of your brand will increase tremendously with a mobile app. In fact, it works like a billboard sign. If you have a mobile app with great looks and features, nothing can stop it from increasing your brand awareness. Mobile apps have the ability to serve multiple functions such as playing games, audio & video, news feeds, instant chat and many more. In short, it works as a direct channel that provides the user with all the information they need. People of today’s generation are obsessed with social media. If you want to be a part of their obsession, you should have a mobile app. If you have a mobile app that can be shared on social sites, they will be able to discuss about your products or services. People spend a lot of time on social media and mobile apps are the future of social interaction. Mobile apps have made sales much easier than ever before. It is changing the way people review, buy or sell products. Hence, it is important to provide your client with a dedicated mobile app. 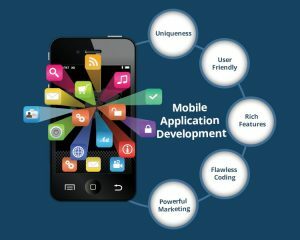 So, if you have been looking for the best ways of leveraging your existing resources and infrastructural capabilities or adding more worthy figures to your bottom line, then get ready up to include mobile apps development in your business strategies. Totally geared to address the custom needs for multi-platform development and presenting the many skills for building value-adding mobile applications. Throughout the life of a project, our team follows a quality plan. We use tracking tools to monitor defects, and we work with you, our partners, through a user acceptance testing process, to ensure that our mobile solutions meet your needs.